The phrase “Yes, and…” is familiar to fans of improv comedy; it’s a core principle of the form. When one performer throws out an idea, another performer in the scene is expected to respond affirmatively and add something aimed at moving things forward. The parallels to jazz should be obvious. 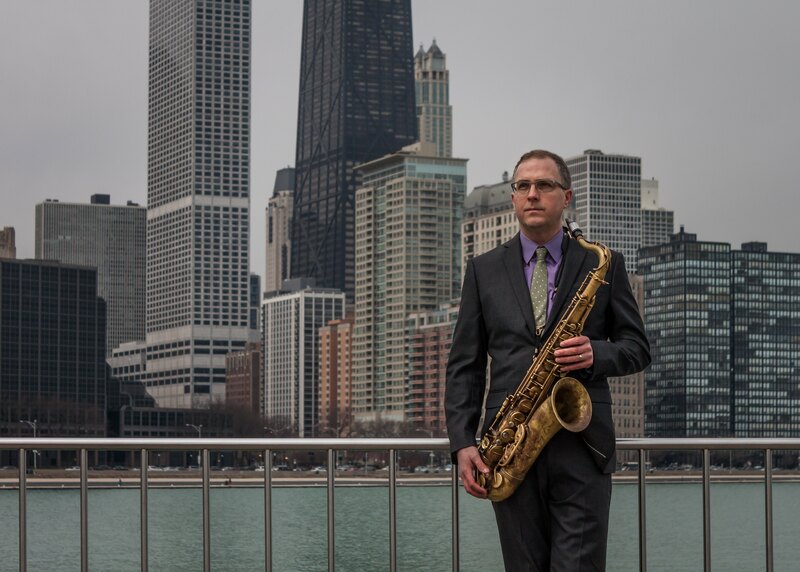 And they certainly are to saxophonist Geof Bradfield, who has assembled eight of Chicago’s most talented players, wound them up, and bounced them off each other. Yes, and… is divided among pieces that feature the full nonet and and shorter interludes showcasing three members of the ensemble at once. “Chorale” is a shimmering cloud of harmonies on which trumpeters Russ Johnson and Marquis Hill and trombonist Joel Adams slowly dance around each other. Coming as it does after the high-energy full-band piece “In Flux”, it provides a moment of rest, while existing on its own as a profoundly beautiful piece of music. Bradfield’s writing for the large ensemble seems inspired by Duke Ellington’s philosophy, if not his sound, He clearly had these players in mind for these parts, and each gets a chance to shine, and to bolster or counter the others’ contributions, as necessary. The horns obviously attract the listener’s ear first and most powerfully, but the 14-minute “Anamneses” is defined and given much of its impact by Dana Hall’s delicate, thoughtful percussion. There’s so much creativity in every moment of this album that it could have been titled Yes, And…And…And… .